Today, I'll show you how I quickly made a hair bow and hair elastics to wear with the pintucked skirt I made for the Fab Folds Challenge. 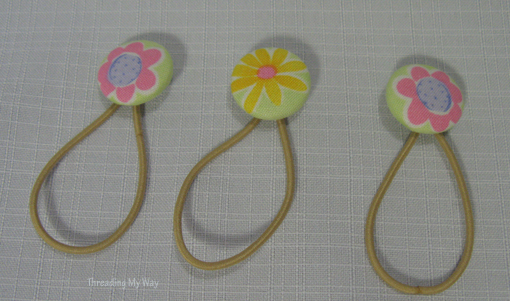 First up, I thought I'd make some hair elastics using fabric covered buttons. I used a button covering kit made by Birch (an Australian brand). This kit includes a great little gadget which makes the process very easy. Follow the manufacturer's instructions to make your fabric buttons. 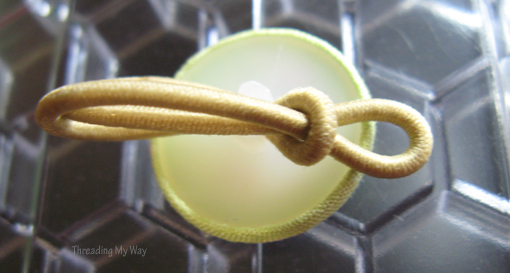 Once the buttons are made, it is simply a matter of threading an elastic through the shank of the button and securing. If the shank of the button is too small to push the elastic through, thread a needle through the shank and pull the elastic through. You may need to use a few strands of cotton so it doesn't break. Leave a small loop. Push the large loop through the small loop. It couldn't be easier!!! The hardest part of the process is getting the pattern on the fabric in the centre of the button. 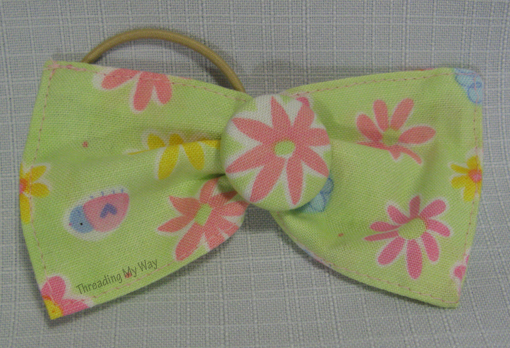 Next up, I made a bow the same as on the skirt. Cut a piece of fabric 5" x 5". Fold in the ends and stitch close to the edge on all four sides. Fold in half and make a crease. 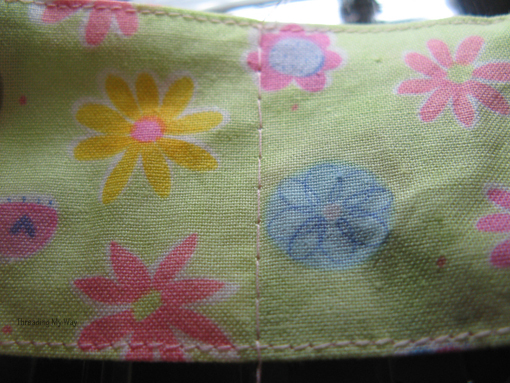 Sew a row of stitching along the crease. Knot one end of the threads. Pull the top thread at the other end to gather. 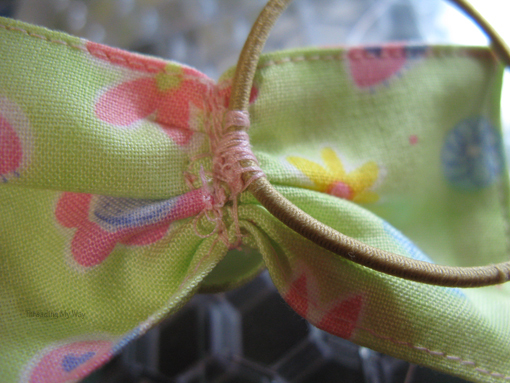 Tie the threads at the back to pull the centre of the bow in. Set your machine back to the normal length stitch. 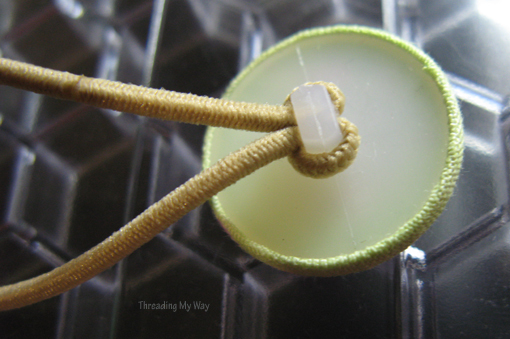 Sew a line or two of stitching over the gathers, backstitching at each end. 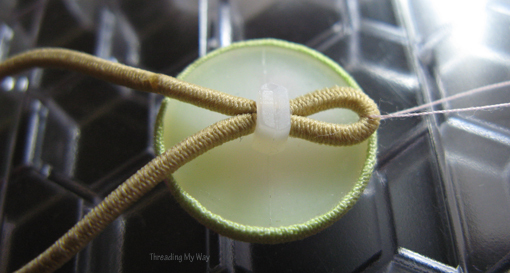 Make another fabric button and attach securely to the front of the bow. 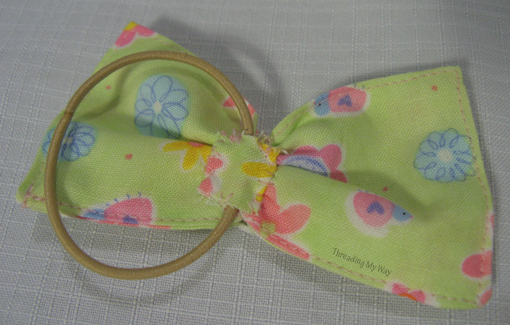 Securely attach the hair elastic to the back of the bow, by hand stitching. 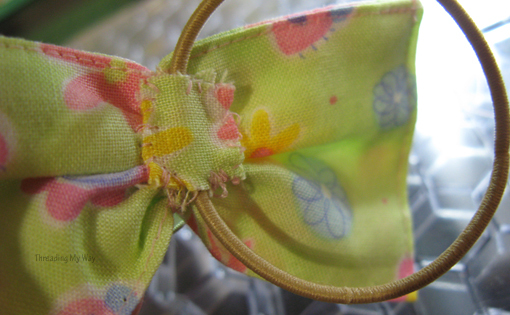 Attach a scrap of fabric to cover the hair elastic and hand sew in place. This doesn't have to be neat, as it will not be seen. Mine certainly isn't neatly sewn... LOL!!! Your hair bow is finished!!! Now all you need to do is decide what hair style to do to best show off your new creations. NB: These hair accessories contain small parts and are not suitable for babies or young children. 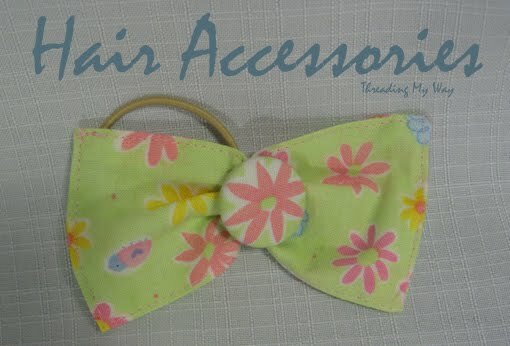 I'm adding this hair bow and hair elastics to our ongoing Hair Accessories Link Party. Beautiful, your explanation is really easy to understand, I love it. Marisa. I pinned this for future reference....I love the idea of making matching hair accessories for outfits! 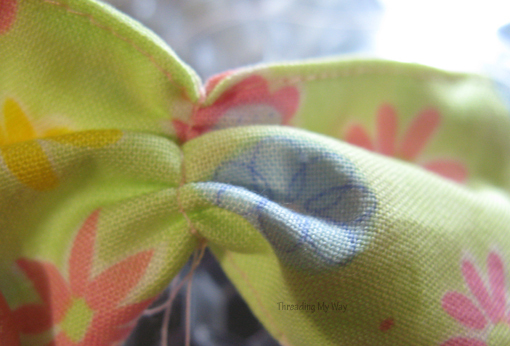 Your bow is just gorgeous! Very cute, I love them both! Thanks for sharing at The Fun In Functional! Adorable and great tutorial! thanks so much for sharing on craft schooling Sunday, and now I realize there is no excuse for not crafting with covered buttons!